Visit Teva's Raith Leather Mid WP page. CLOSEOUTS . Your feet will think they're propped up on a stone hearth watching television for all the comfort and protection they'll get in Teva's Raith Mid boots. These babies feature a fully waterproof breathable T.I.D.E. membrane and sturdy, durable protection no matter what the weather throws at you. Available Colors: BROWN. Sizes: 7, 7.5, 8, 8.5, 9, 9.5, 10, 10.5, 11, 11.5, 12, 13, 14. 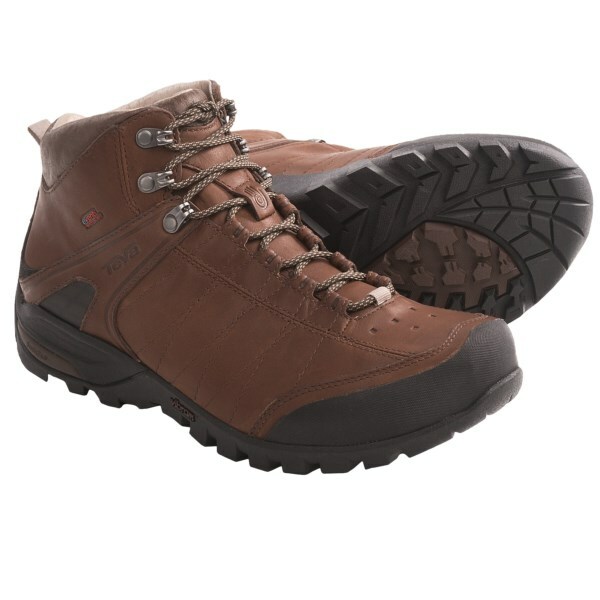 Wintery day hikes don't have to be a cold wet affair, especially when you wear the Raith Leather Mid WP Shoes from Teva. A waterproof T.I.D.E Seal membrane seals out wet snow and drizzles allow with the waterproof leather uppers which will handle whatever you can dish out. You keep your feet under you with the grippy Spider Rubber soles which stick even on wet surfaces. 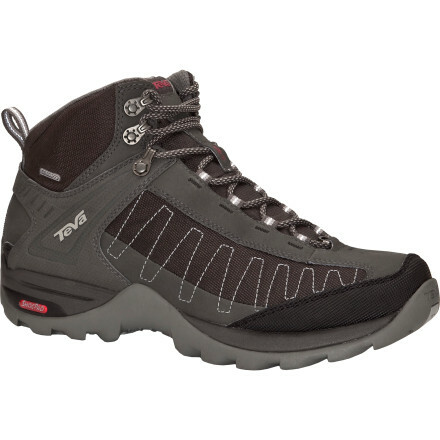 The lightweight yet rugged Teva Raith Leather Mid WP hiking boots supply waterproof protection and comfort on the trail. Polyurethane-coated leather and polyester mesh uppers offer a balance of durable protection, flexibility and light weight. T.I.D.E. Seal waterproof membranes protect feet from the elements while retaining excellent breathability. 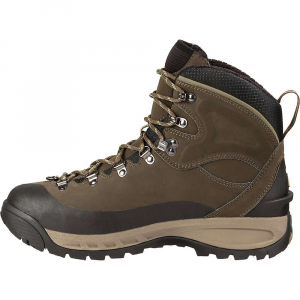 Polyester mesh linings wick moisture away from feet for enhanced comfort within boots. Compression-molded EVA midsoles feature heel Shoc Pad(TM) units for extra shock absorption. Nylon shanks deliver torsional stability and increased stiffness and support for comfort on varied terrain. 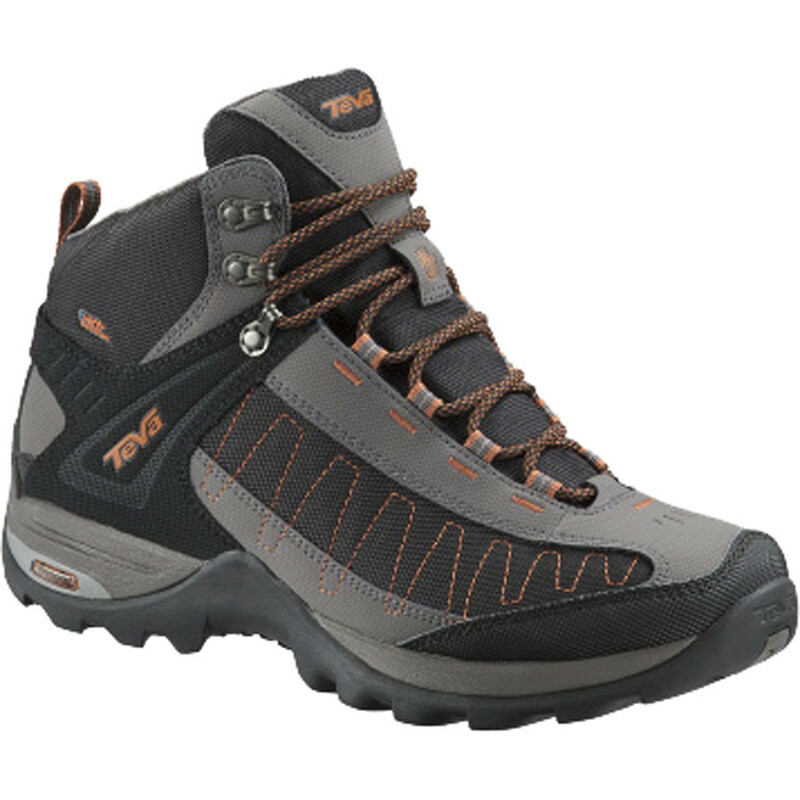 Aggressive outsoles on the Teva Raith Mid WP hiking boots feature Spider365 rubber for excellent longevity and surefooted traction. Closeout. 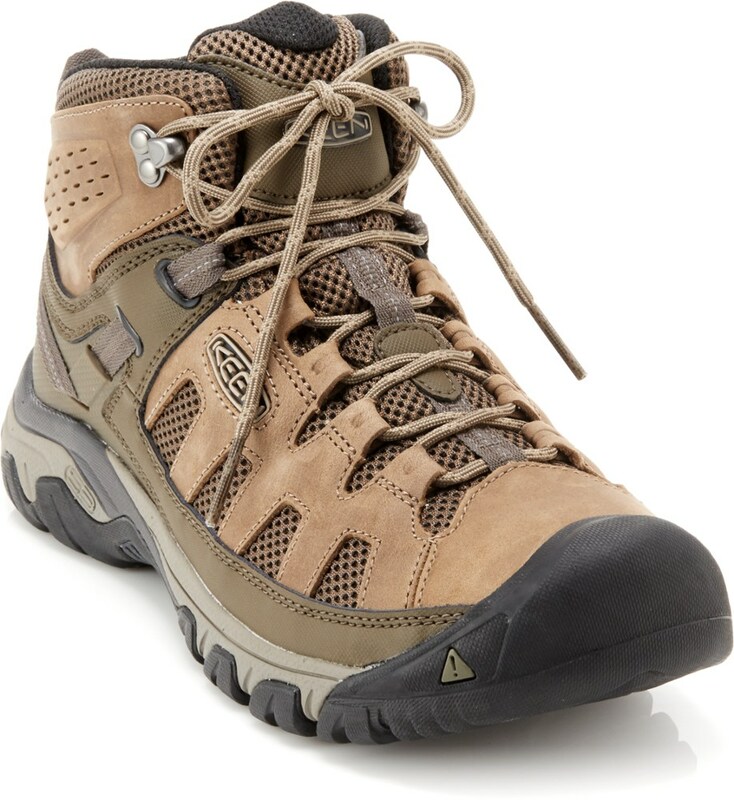 The Raith Leather Mid WP is a light hiker with some attitude. Its aggressive look and stance align perfectly with its performance strengths which are fine-tuned for aggressive action. 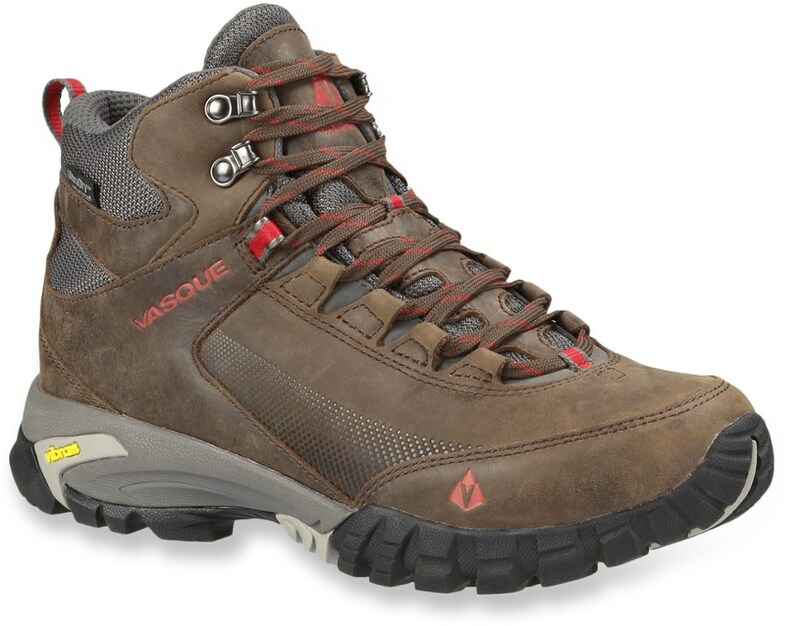 Donât worry it wonât bite but the Raith Leather Mid WP will take you on an adrenaline-filled hike through streams and up gnarly pathsâ¦and then straight to a cookout afterward where its subtle good looks will shine. 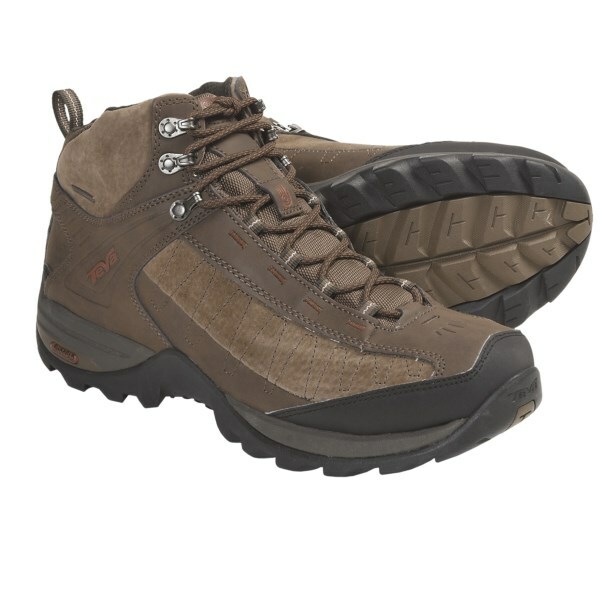 So if youâre looking for a waterproof light hiker that can go beyond the trailhead the Raith Leather Mid WP is for you. The Teva Raith Leather Mid WP is not available from the stores we monitor. It was last seen October 30, 2013	at Sierra.